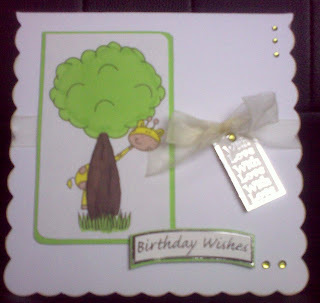 Well today launches another card challenge over at CCW and is being sponsored by the lovely Crafty Pad. Anyway the theme this fortnight is based on the Male, so anything goes as long as its suitable for the man in your life! As you all know now Im not the best at colouring with promarkers and no matter how much I practice I still can't seem to get it right, think I might have to use something else as a lot of work end up in the bin as Im never happy with the result. 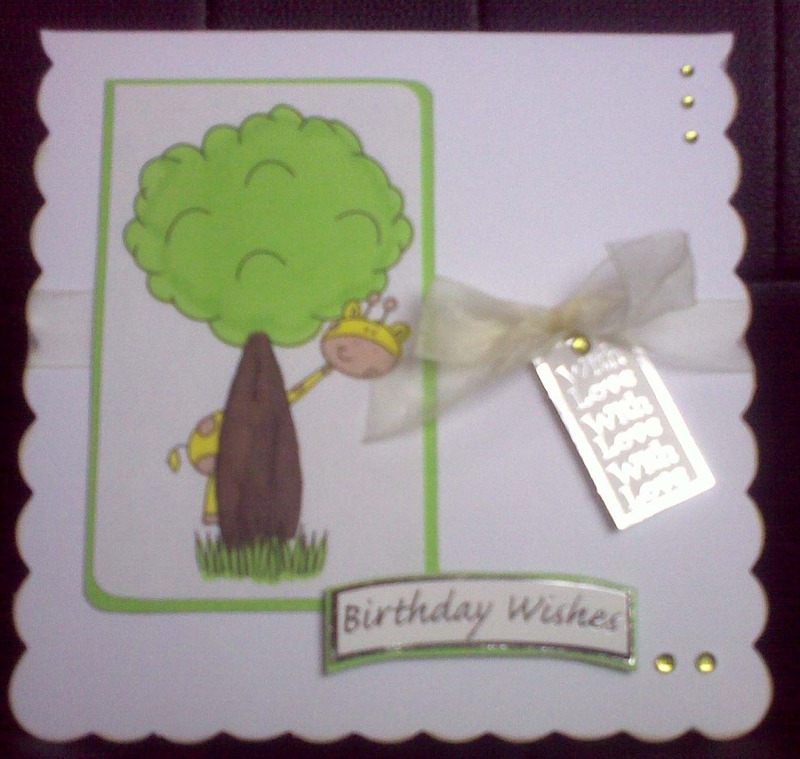 Anyway I have made a birthday card for a friends little boy, he loves green so I have tried to stick to that. I didn't think flowers were that appropriate for a little boy but I did go for a cream organza bow with some green crystal gems. Anyway I hope you like it, one day I will be happy with the promarkers will get there eventually! Thank you for looking! That's a lovely card, Lou.